Despite the recent surge in the popularity of the new style of soya beancurd dessert (tau huay) à la Lao Ban, there remain those whose penchant for the more traditional rendition of the dish has failed to wane. 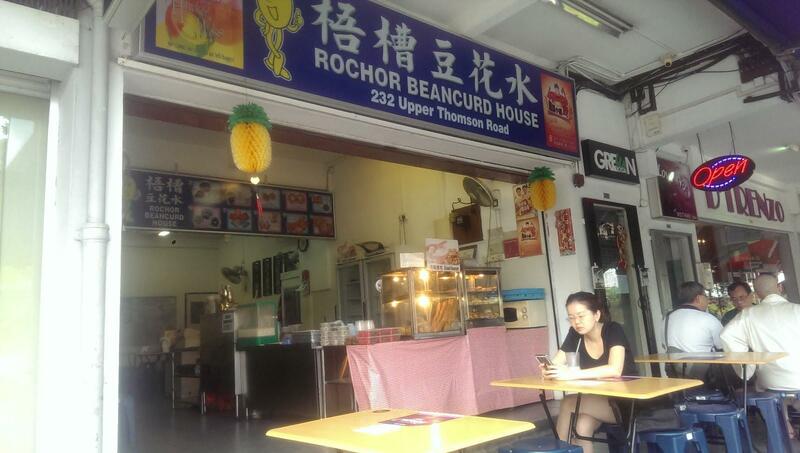 If you are one of those people, the velvety, silky soya beancurd ($1.20 for the hot version, $1.40 for the cold version) sold by the people behind Rochor Beancurd House may be just for you. The shop also brews a refreshing, flavoursome soya bean milk drink ($1.00) with a charmingly authentic taste that makes one instinctively hearken back to the days of yore, whether one has experienced them or not. However, the cold version of the beverage was not particularly sugary and rapidly became diluted, so ordering the warm version may be preferable. 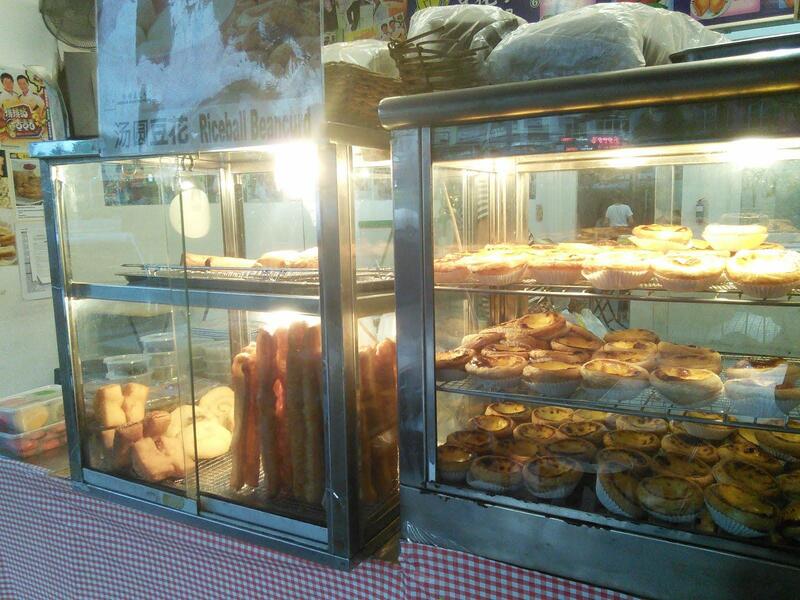 A plethora of side dishes, like the obligatory deep-fried dough fritters (you tiao) ($1.00), can also be ordered to complete the meal; the Portuguese Egg Tart ($1.50), though, was a tad underwhelming. A snack I especially recommend is the Tofu Fries ($3.00), which are basically strips of beancurd that have been tossed into a fryer and coated with generous amounts of seasoning. A quick jaunt to this shop after school will definitely make for a thoroughly satisfying experience. Directions: Take bus 410 from opposite the Bosch building and get off at the third stop (Sin Ming Plaza). Turn right at the junction on Upper Thomson Road. 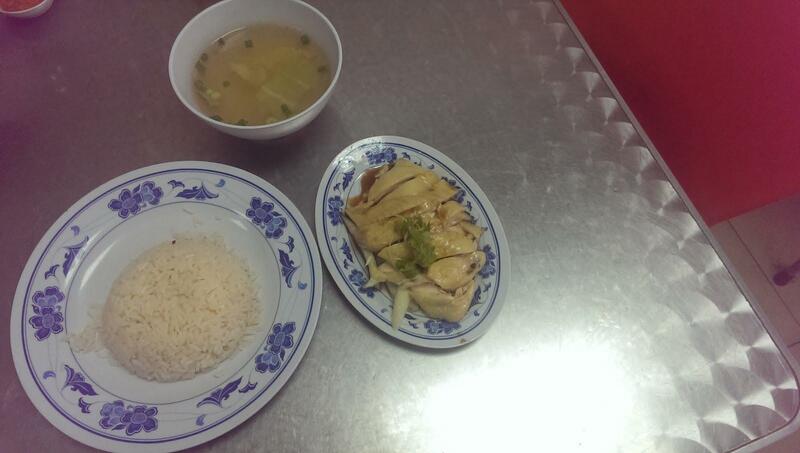 A recommendation from a friendly local storekeeper led me to this moderately-sized eatery selling Singapore’s hallmark dish – Hainanese Chicken Rice. Though the interior was rather crowded and frenetic, the efficient service meant that my food arrived within mere minutes. The tangy chili and ginger condiments complemented the tender, succulent chicken perfectly. On the other hand, the rice was rather soggy and unmemorable in terms of taste. Fortunately, the copious portion of vegetable soup that came with the set had been sprinkled with a suitable amount of pepper and served as a pleasant way to wash down the meal. At $4.25 (after GST) for an individual set of satisfactory quality, this restaurant offers quite a reasonable deal for the average student. Note that only steamed chicken is available at this shop, so roast chicken lovers will want to look elsewhere to sate their appetites. An Udders Ice Cream outlet is located just across the road from the Chicken House, so one can conveniently top off their lunch with some delectable dessert. 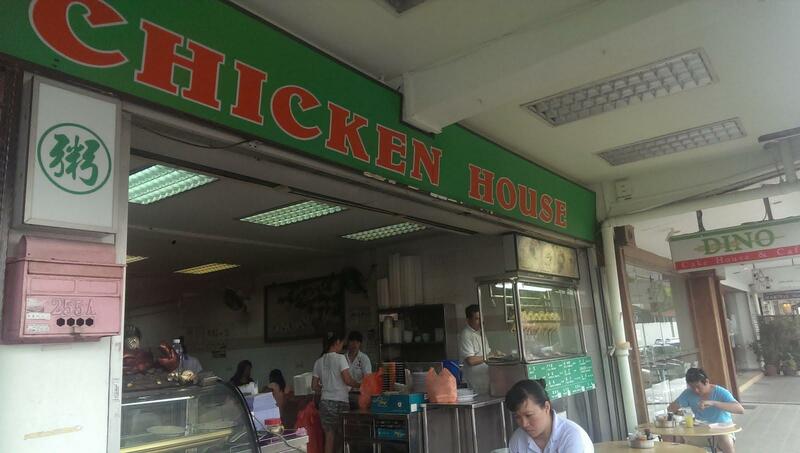 Location: Beside UOB, opposite Rochor Beancurd House. Within the grounds of a peaceful, unassuming HDB estate lies Earth Jar Treasure, from which health-conscious Rafflesians can savour nutritious Chinese herbal soups boiled in traditional claypots. The moment I took a sip of one of their most popular specialties, the Ginseng Chicken Soup ($7.00), my tastebuds were awash in the heady, slightly overpowering flavours released from a cocktail of herbs and spices. The piping hot and rather mouth-watering soup came in a liberally-sized portion which lightened the perceived burden of the hefty price tag. 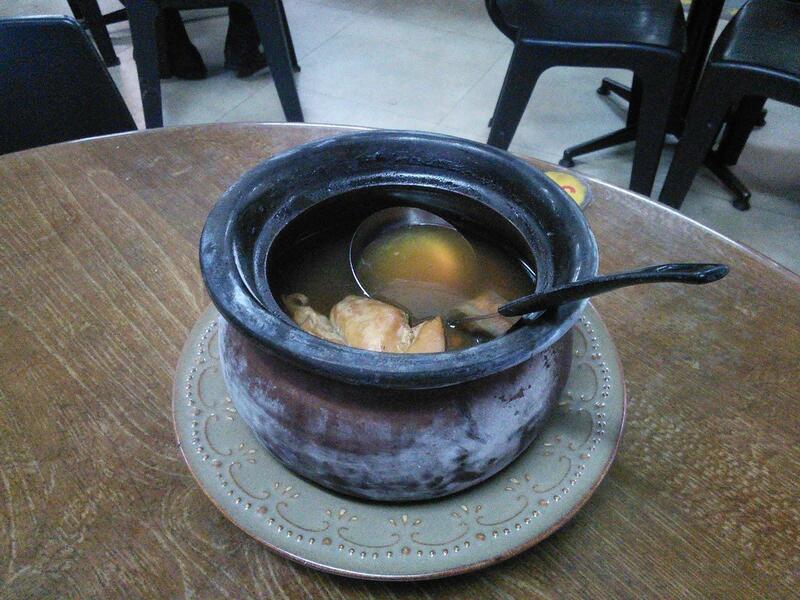 However, the ample cut of chicken within the soup was, ironically, quite dry and a chore to consume. Trademark dishes aside, one should shell out an additional $0.50 for a bowl of yam rice – laden with a smattering of Chinese mushrooms, dried shrimp and cabbage (though not much yam) – that was decidedly delicious and well worth the price. Another point of merit was that the waiting time for the food was minimal, at only a few minutes. With regard to other varieties of soup, the Great Health Duck Soup ($6.70) is also widely lauded by customers, and, for the more adventurous, the stallholder recommends the strangely-named Cultivate Blood Black Chicken Soup ($6.70). Directions: Take bus 410 from opposite the Bosch building and get off at the third stop (Sin Ming Plaza). Or, walk down Bishan Street 21 toward Upper Thomson Road and take bus 130 from the bus stop opposite Shunfu Estate to Block 7 Industrial Estate. Cross Sin Ming Road to reach Block 22. In a small space beside Earth Jar Treasure is a hidden gem of an eatery that I inadvertently stumbled upon – 荣华饭店: 煮炒. This obscure zi char (Chinese cooked dishes) place attracts a robust local clientele and features a diverse array of dishes on its menu. The fragrant deep-fried meat rolls (hae chor) ($6 for 2 persons) proved exceptional with their finely diced and cooked minced meat packed with crunchy, fresh water chestnuts. Similarly, the fried fish with soy sauce ($10 for 2 persons) was well-fried and admirably seasoned. The freshly procured greens were praiseworthy as well, for the Spinach and Fried Silverfish was permeated with wok hei and will more than adequately whet one’s appetite. A plate of steamed rice can be bought for $0.50 to go with the dishes, and the white bee hoon with fish also appears to be another one of their specialties. Unfortunately, though it is an otherwise ideal spot for having dinner with a couple of friends, you can expect to wait a long while for food during peak hours (15 minutes during dinner time). Additionally, it is advised that you refrain from purchasing the honey lime juice touted by the shop unless you relish the thought of drinking incredibly cloying beverages. Location: Beside Earth Jar Treasure shop (face the shop and walk toward your left, it is a few shops beyond).